Building a home from the ground up is an exciting experience for most people. But before they can break ground, they need to decide whether they want to build a house that’s one story or two stories tall. This is a pretty difficult decision to make since it’ll affect the entire design of their home. Here are some of the pros and cons associated with one-story and two-story homes. There are lots of benefits that you’ll get to enjoy when you build a one-story home. For starters, one-story homes are usually simpler to design. They’re also easier to maintain once they’re built. And if you’re going to have people living in the home who are either on the younger or older side, they’ll even be safer in most cases. But one of the big downsides of building a one-story home is that you’ll need to invest in more property to give you the same square footage as a two-story home would. You’ll also have less privacy in a one-story home since every room in the home will be on the ground level. Just like with one-story houses, there are many benefits that come with building a two-story home. You’ll have more design options when putting the home together. You’ll also be able to give yourself better views in a two-story home and provide your family with more privacy. Additionally, most two-story homes are more secure than one-story homes with a decreased risk of burglary. 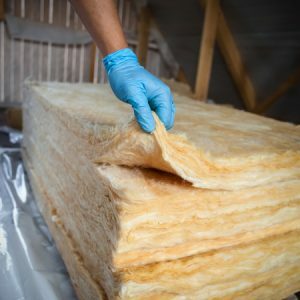 But you should keep in mind that it can cost more to heat and cool two-story homes. There is also going to be an increased risk of accidents taking place due to the presence of stairs. Only you can decide whether you want to build a home that’s one story or two stories. Whichever one you pick, Scott Merle Builders will be by your side to bring your dream home to life. We have experience building both one and two-story homes and can talk to you more about the pros and cons associated with each setup. Call us at 315-409-4124 today to get the home-building process underway. From the outside looking in, building a home might seem like a relatively simple and straightforward process. People pick a piece of property, design a home to put on it, and then build it. However, there’s much more to it than that, which is why people really need to hire an experienced builder to get the job done. Here are the steps that must be taken to successfully build a new home from scratch. A piece of property is purchased and prepared. Before a home builder can start to put a home into place, a piece of property for it needs to be purchased. 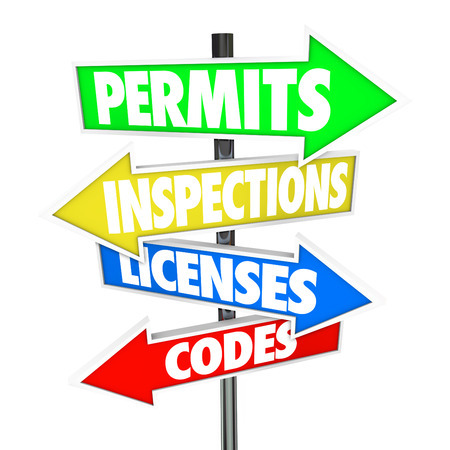 Additionally, that property needs to be prepared so that a builder can put a home down on it. The land will often need to be graded before a foundation can be put down for the home. 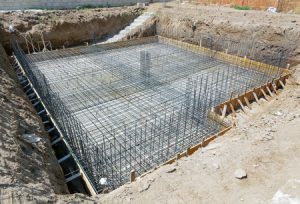 This is arguably the most important part of the process since a strong foundation is a critical aspect of any home. 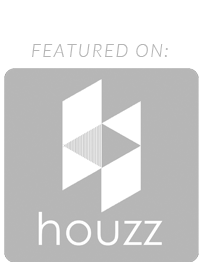 Plans for a home are fully developed and approved. 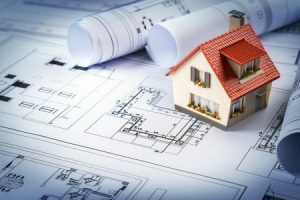 While a piece of property is being prepared for a new home, a builder will work with either a developer or the owner of the home that’s being built to map out what it’ll look like. An architect is usually brought in to take the ideas that a developer or homeowner has and bring them to life. 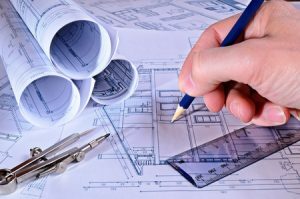 Once plans are in place, a home builder will then need to get those plans approved by the city or town in which the home will be located. The home is framed and then filled with everything it needs. 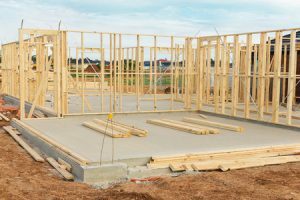 After the plans for a new home have been approved, a home builder can start framing the home. 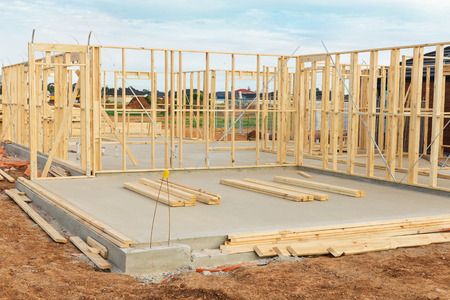 The frame of a home will give it its structure and allow everything else associated with it to fall into place. 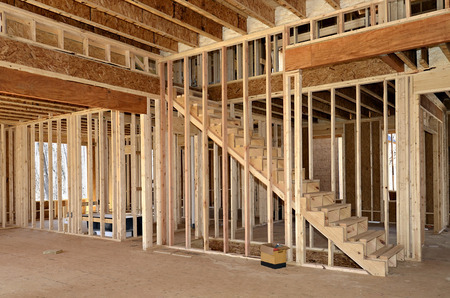 Following framing, a home builder will add other essentials like windows and doors, roofing, siding, electrical and plumbing systems, insulation, drywall, flooring, and trim. The finishing touches are put on the home. The new home that’s being built will almost be finished at this point. But before a home builder turns over the keys for a home to a developer or homeowner, they’ll have to add the finishing touches. This includes things like countertops, cabinets, lighting fixtures, and even paint on the walls. It’ll make the home livable. for your home-building needs. Call us at 315-409-4124 today to see how we can assist you with custom home plans and designs. The best way to get the home of your dreams is by building it yourself. You can customize each and every aspect of a home when you build it from scratch. But before you start mapping out a custom home, you need to hire the right builder to help bring your ideas to life. 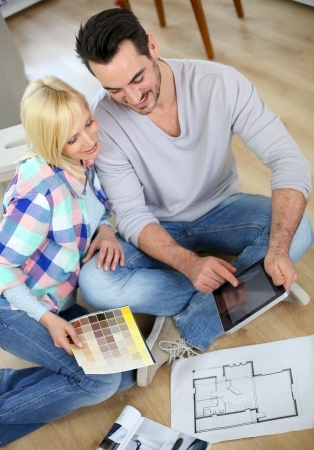 Take a look at some tips for choosing the right builder for your new home below. Research the options in your area. You might be surprised by how many different home builders operate in your city or town. You likely have dozens and dozens of options to choose from. Start your search by putting together a list of home builders in your area and learning more about each of them. Read online reviews for the builders and try to speak with those who have worked with them in the past if you can. Take a look at some of the work builders have done over the years. Most good home builders have websites set up. They show off the work they’ve done over the years on these sites so that you can get a better idea of what they’re capable of doing. Check out as many examples of past work as you can find for each builder you’re considering. You can also reach out to the builders to speak more with them about specific projects they’ve done. Make sure you don’t have any issues communicating with a builder. Once you’ve done your homework and found a builder with a style you like, get in touch with them and talk to them more about the home you want to build. While speaking with them, make sure you feel comfortable with how they communicate. If you hire them, you’re going to spend a lot of time communicating back and forth with them. You want them to be someone that speaks clearly and puts your mind at ease when you express any concerns. Scott Merle Builders would love to help you build your dream home. We would be more than happy to tell you all about the custom home plans and designs we can put together for you. Call us at 315-409-4124 today to find out more about our home building services. Scott Merle Builders builds homes in Central New York. The company also handles home renovations. If you’ve been thinking about having some work done at your home, what are some ways to prepare for a company like Scott Merle Builders to come to your house and make your dream a reality? First, you’ll want to figure out your finances at the moment. What does your budget look like and what can you do to save and/or get more money to “get what you want?” Perhaps you might apply for a home equity loan or a home equity line of credit to help finance the home renovation(s). Other options include taking out a reverse mortgage, dealing with contractor financing, or applying for a FHA Title 1 loan. You might ask a relative, like a parent, for a loan. Or, if you want to save up money over time, commit to putting away a certain percentage of your paycheck toward the home renovation project each week or two… that way you’ve got a goal to work toward to, with the money all in one spot. Next, you’ll want to figure out what you really want done at your house, down to the details. For example, say you want to have your kitchen remodeled. Ask yourself, “Yeah, but what does that mean for me?” Maybe it’s something simple like, “Well, I just really want brand new granite countertops put in. They should be black and white.” Or it could be more elaborate, as you make a list of wants/needs, and come up with specific details including colors and materials. Do some research online and in stores to see prices for items you’re interested in, such as new lighting, cabinets, and appliances. Is DIY a Realistic Option? Okay, here comes the interesting part: what can you do yourself versus what should you hire someone else to do? For some people, the physicality of renovation work is too much– especially if they have bad backs. 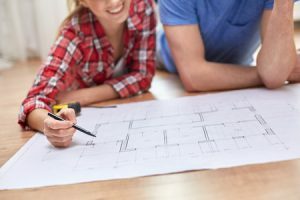 Others will tell you, “I wish I could but I am clueless about electricity, carpentry, and such– I can’t even read a ruler right!” So depending on how much you can handle, some of the work can be “do-it-yourself,” while other parts of the work should be done by professionals like Scott Merle Builders. Finally, it’s important to be flexible. Rather than get your mind and heart set on something, it’s best to leave room for “leeway.” Just like life, expect the unexpected and do your best to roll with it. Should You Remodel Your Home or Build a New One? Do you want to improve the look of your current home or wish that it functioned better? If so, you might want to think about remodeling it. During a remodel, you can give your home a much-needed makeover and fall in love with it again. Or, if you don’t want to go that route, you can also consider building a brand new home from scratch. It’ll give you everything on your wish list and deliver the perfect home. So, which is the better option for you? Here are some things that’ll help you decide. There are some people who would automatically assume that a home remodeling project would be way cheaper than a new build. However, that isn’t always the case! If you think you’ll need to do a major remodel to turn your home into what you want, it could end up costing you as much as it would to build a new home. It all depends on the current condition of your home, the ideas you have, and more. A contractor can talk to you about how much each of your two options could cost. A new home build will usually take longer to do than a remodel. Therefore, if you’re looking for the quicker fix to your current problem, you might want to go with remodeling. However, you should remember that you’re going to need to live in the middle of a construction zone while your remodel is going on. It could limit your lifestyle for a little bit, which is something you won’t have to worry about when you’re having a new home built elsewhere. Which will give you what you want? A home remodel and a new home build can both give you what you want. It really all comes down to how much you like the current location of your home. If you love the area and don’t want to move somewhere else, a remodeling project might work best for you. But if you wouldn’t mind moving or want to get out of the neighborhood you’re in now, a new build might be your best bet. Either way, you can get the home you’ve always dreamed about. Undoubtedly, there are pros and cons that come along with both home remodels and new home builds. Scott Merle Builders can help you with either option and make sure you love the end result. Call us at 315-409-4124 to set up a consultation. Are you interested in improving the curb appeal and overall appearance of the exterior of your home? One of the best ways to accomplish that goal is by adding stone peaks to your house. It’ll instantly improve the visual appeal and the functionality of your home as the project is complete. There are many other benefits of adding stone peaks to a home, too. Check out a few of them below. They make your home more durable. Stone is one of the most durable building materials on the market today. Any time you use stone on the outside of your home, it’ll make your house resistant to everything from wind and rain to snow and ice, which is ideal for Central New York homes. Stone will also hold up well when it sits in the sun all day long and won’t show signs of fading over time. Additionally, you won’t have to worry about insects doing any damage to stone; it’s just about as durable as it gets. They last for a long time. Because stone is so durable, you won’t have to think about replacing it anytime soon once it goes into place. Unlike vinyl siding and some of your other options, your stone will hold up for many years to come. In fact, there’s a good chance you won’t ever have to change up the exterior of your home when you decide to go with stone since it’s been known to last for decades and decades on end. They can help increase the value of your home. Stone has become a very attractive selling feature for homeowners in recent years. Many are finding ways to incorporate more stone into the interior and exterior of their homes because of it. Stone will make a good first impression on home buyers if you ever decide to sell your home. If you’re thinking about adding stone peaks to your home, Scott Merle Builders can talk to you about the different ways you can do it. Call us at 315-409-4124 today to set up a consultation for any home renovations you want to do.